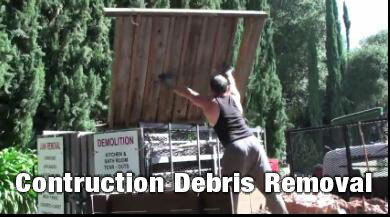 Some of the most time consuming junk removal jobs are those where I remove construction debris. Wood, metal, carpet, concrete, boxes and drywall, all mixed together in one or two big heaps. You need to be very careful while picking through the mess because there are nails sticking out of the wood pieces. It’s always better if I can get my truck close enough to it so I can throw all the trash in the truck without having to carry it a long distance, however often it is unavoidable. In cases when I have to transport the debris to the truck, I use a trash can with wheels. I stuff the wood, drywall, metal and all the rest of the junk in the cans and then have to load it again into the truck. It takes a lot longer this way and I charge accordingly. I get a lot of calls to remove wood, drywall cabinets, sinks, toilets and cement mixed with plaster from jobs where the customer’s kitchen, bathroom and other parts of their home were remodeled. 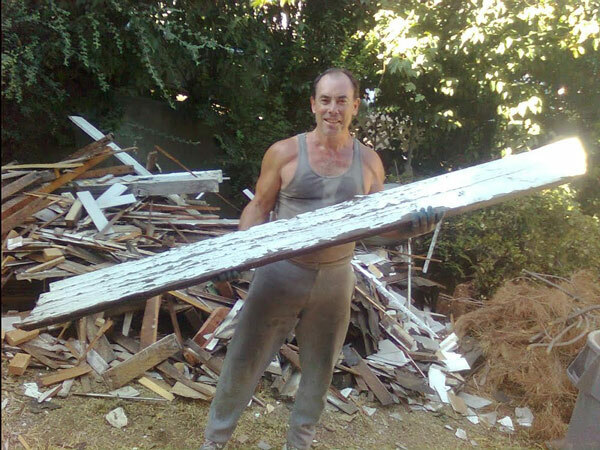 The contractors just left all the debris for the customer to get rid of, so there I am, loading all the pieces of plywood, two by fours, plaster, cement and metal into my truck. The home owner’s are usually frustrated, with all the garbage sitting in their driveway on in the back yard, so when I get there they are quite happy to see me and so grateful when it’s all gone. 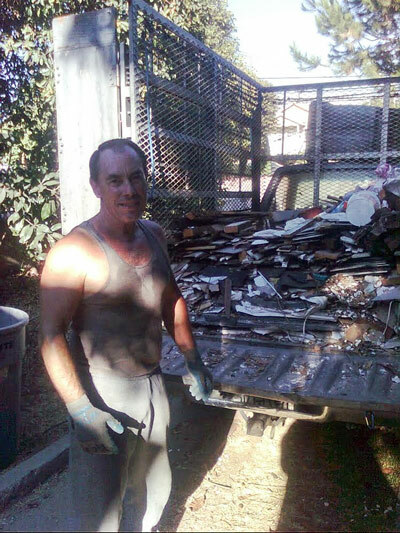 Sometimes roofing materials are mixed in with the rest of all the remodel trash. It’s usually all thrown into one big pile of rubbish and has to be picked through piece of wood and drywall by piece of concrete and metal. Sometimes there are stairs and I have to pull the trash cans full of wood, sheet, rock, metal and bricks up to the street. 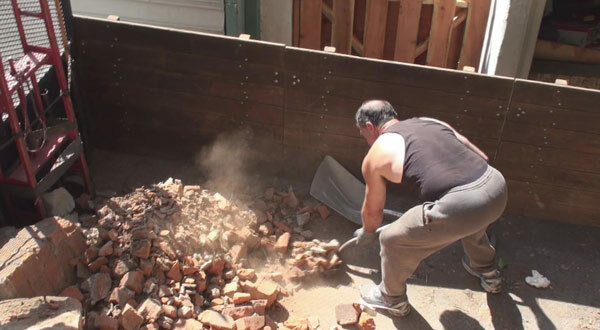 I’ve had jobs where I had to carry many thousands of pounds of all kinds of construction debris up as many as one hundred steps and up the sides of hill sides in the heat waves.